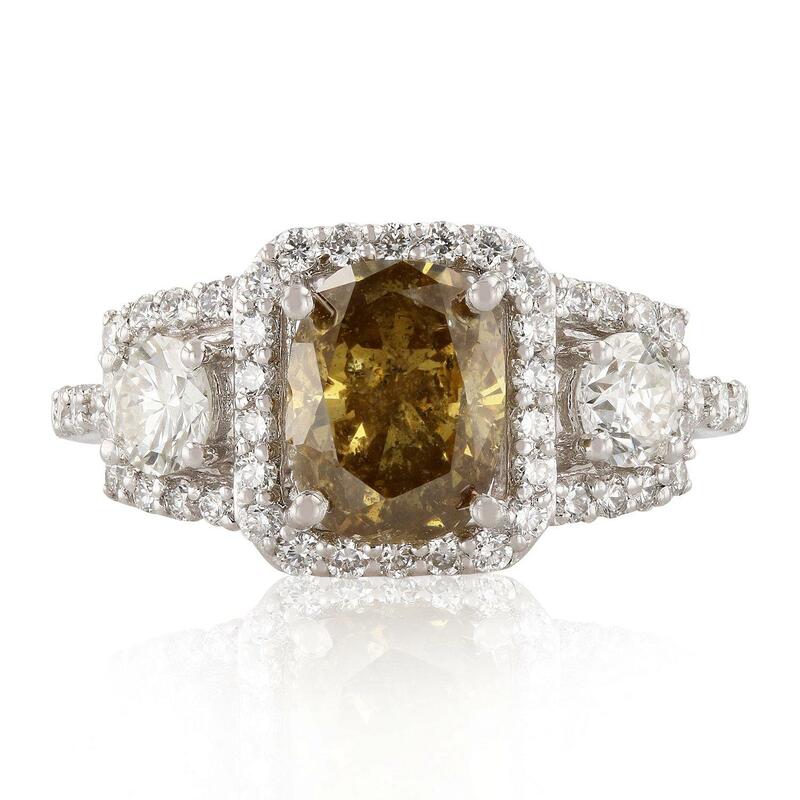 One prong set cushion cut diamond, measuring 7.93 x 6.11 x 4.02mm approximate weight of 1.72ct with a strong orangy yellow fluorescence. Graded in the setting. Fifty prong set round brilliant cut diamonds approximate total weight of 50 Stones = 0.93ct. Graded in the setting. Total Weight of Diamonds 2.65ct.